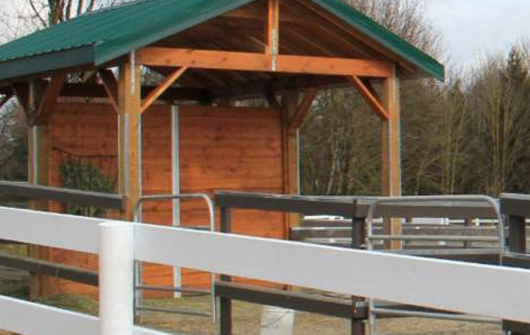 These new paddocks and horse shelters are exactly what, Rob and Janet of Aldergrove, were looking for in the spring of 2010. 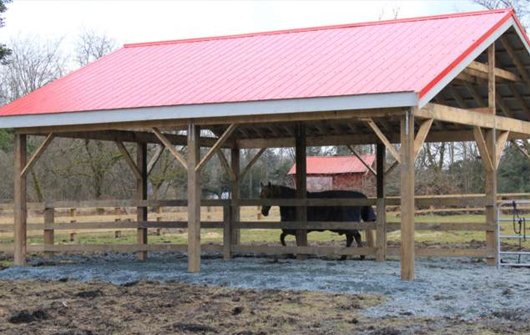 This 24 ft. by 24 ft. horse shelter for this farm's mare and foals are just the right size. 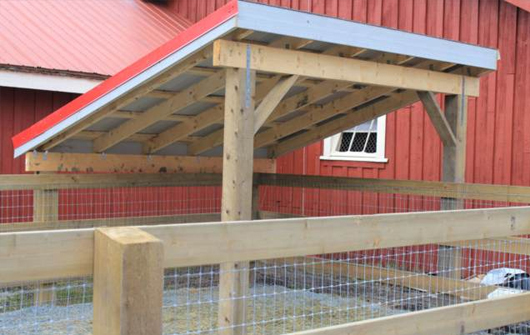 This little lean to is working just fine for the two miniature horses belonging the Peter Wall group of companies of Langley. 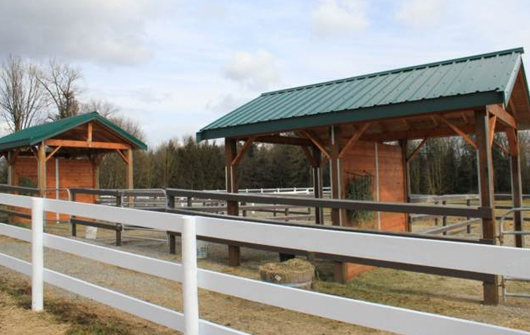 This project was completed in the fall of 2010.